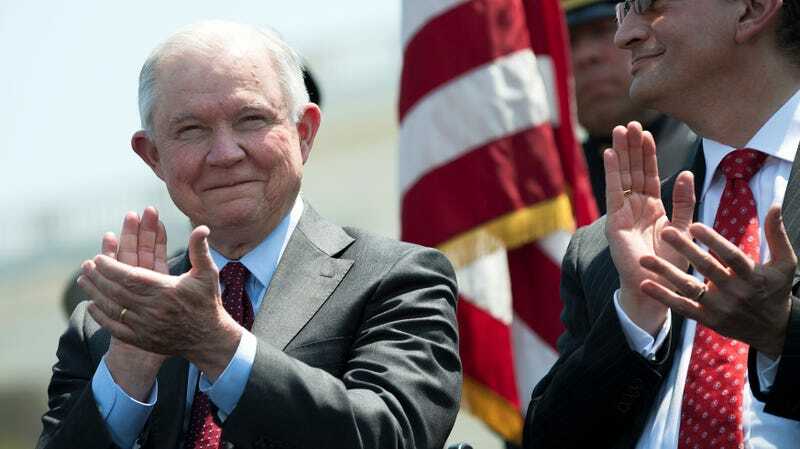 Attorney General Jeff Sessions continues to be pleased with the outcome of his “zero tolerance” immigration policy, which has resulted in the forcible separation of children—some only a few months old—from their parents, who often do not know where they’ve been taken. The psychological repercussions of these forced separations, particularly for extremely young children, are massive. One Honduran woman told CNN that her infant daughter was taken from her in a detention center while she was breastfeeding; a father from Honduras died by suicide in his cell after being separated from his wife and 3-year-old. Due to overcrowding, some minors will evidently be detained in “tent cities,” forced to sleep outdoors, somehow, in a 100-degree desert. But the Bible says this is okay, Sessions assures us. We certainly have heard that one before, haven’t we? Obviously, the Bible has been used to justify any number of oppressive and violent actions taken throughout U.S. history, including, let’s see: slavery, lynchings, dropping nuclear weapons on Japan (in fact, Nagasaki’s Urakami cathedral was a target), Jim Crow, conversion therapy, and other atrocities. “I’m not ashamed of the United States of America,” Jeff Sessions said today, somehow. I am!